Site security isn’t an option today; it’s mandatory. And while fencing and locks may have been fine 20 years ago, today’s thieves are more creative and industrious than ever. Fortunately, new technologies like the Mobile Surveillance Unit (MSU) let you stay one step ahead. National Crime Information Bureau statistics tell us that approximately $1 billion each year is lost due to construction site materials, tools, and equipment. Law enforcement officials indicate that the recovery rate is less than 20 percent. Your business can’t afford to be victimized by construction site thieves. What is a Mobile Surveillance Unit? Mobile Surveillance Units are engineered with an exact understanding of how job sites work. Many job sites have access to limited power, for example; MSUs can provide their own power. Thieves can no longer simply cut the one power feed to a job site to shut off all of your cameras. MSUs are also highly mobile. As your job progresses, your most valuable equipment and materials move to different spots on the job site. With MSUs, you don’t have to run new power lines or network feeds or find suitable mounting locations. You simply move the unit to where your most valuable assets are and point it in that direction. Best of all, many of these technologies are available for rental, rather than having to lay out significant capital expenditures. vice. This type of Mobile Surveillance Unit, such as the MSU Mini, is a full-fledged security system with a small footprint. It’s compact in size and can be mounted just about anywhere. Its battery power is self-contained and there’s no need to run a network feed. Standard MSU. A standard MSU will typically have wireless connectivity, allowing you access to the data being provided by the camera from a remote location. They will have solar panels to provide power, and may be situated on their own mobile platforms. They’ll have Deep Cycle Batteries, alarms to let you know when the equipment is at low voltage, and more. 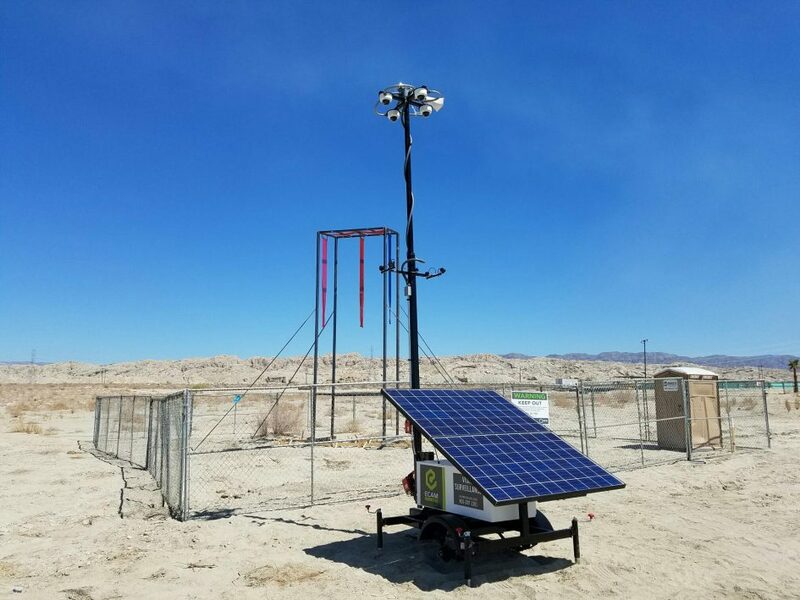 This kind of unit can be used as a standalone, or can be the hub of an entire job site, with several wireless units stationed around the property and feeding their video back to one location. Professional level MSUs. The MSU Pro offers, even more, although it does require a power source. This type of MSU can support motion detection cameras, two-way audio, pan/tilt/zoom, and even license plate recognition. This is ideal for the site that has a secure power feed. Solar Professional MSUs. This level of MSU gives you everything the professional level does, but it does so with its solar panels. Hybrid MSUs. For job sites that may experience cloudy or rainy weather, hybrid MSUs give you the same options as the professional level, but they also include a diesel backup for the solar panel energy so that you can be sure your security system is up at all times. Why Buy an MSU When You Could Rent Instead? 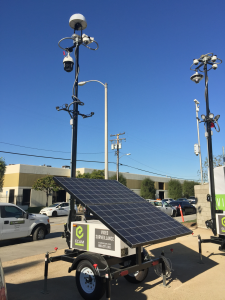 Even if you’re a large construction firm with relatively consistent site work, purchasing mobile surveillance units isn’t always an option. It requires a significant outlay of capital in an industry where capital expenses are already tight. Renting your Mobile Surveillance Unit allows you to pay for the device only when you need it. Also, renting lets you choose the right MSU for the job. You won’t always need solar power for your MSUs, for example, but it sure is nice to have it as an option when you do. Look into MSU rental options today, and take that critical step toward protecting your business.